Minecraft | Things That Go [BLEEP]! Microsoft has the Summer of Arcade, The House Party, and now it’s adding XBLA NEXT to it’s arcade promotions. This is a pretty stout group of games ending with none other than the highly anticipated (at least by me) Minecraft. Starting in June all Xbox Live Arcade games will be required by Microsoft to have 400 Gamescore spread across 30 achievements. These titles will also implement that rule even though they come out sooner. “Trials Evolution” is on every front, the next dimension of the smash-hit, award-winning “Trials HD.” Bust out of the warehouse into an outdoor world of night and day, curved driving lines, and spectacular scenery. Multiplayer comes alive in your living room or on Xbox LIVE. Build your own tracks with the in-game editor or download those of any other player from the new Track Central. Customize your bike and rider with awesome gear and unique parts, enjoy innovative skill games, try ghost racing, beat your friends’ scores and more! Don’t miss the madness! With a brutal combat system, stunning art style, and a deeply compelling story, “Bloodforge” empowers you to slaughter hordes of demonic soldiers, deformed worshippers, and the gods themselves, using ferocious Rage Kills, devastating Rune attacks, and furious Weapon Combos. Help seal Crom’s fate – and the fate of the rest of the world – in this dark, visceral story of revenge, betrayal, and destiny. “Fable Heroes” is an action-packed, hack-and-slash adventure built for Xbox LIVE Arcade. It delivers a fresh spin on the “Fable” franchise with a unique art style and gameplay that takes playful competition to the next level. Whether on the couch or using Xbox LIVE, up to four players work together to defeat enemies while also competing with one another to collect gold coins and level up. Precious gold collected in Fable Heroes can be imported into the forthcoming Kinect title, Fable: The Journey, providing players with a valuable head start from day one. The infinite possibilities in “Minecraft” just got bigger. 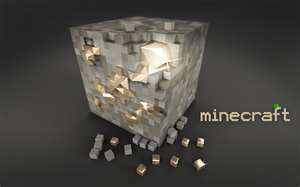 “Minecraft: Xbox 360 Edition” brings the global phenomenon to console gamers for the first time. The Xbox LIVE Arcade version of the game features an innovative new crafting interface, natural controller movements, a full Tutorial mode to teach the basics and for the first time in “Minecraft,” split-screen multiplayer as well as over Xbox LIVE. For those of you who followed E3 this year, you all know that Minecraft was announced with no release date or what platforms it would find it’s way onto (save for Xbox 360). Well it was announced today via Twitter that Minecraft will be coming exclusively to Xbox 360 via Xbox Live Arcade. Look for Minecraft on XBLA Spring 2012.